N.C. Cooperative Extension, Craven County Center is currently looking for volunteers to assist us with our CART plan. CART stands for Craven Animal Response Team. The team is activated in the event of a natural or large-scale disaster like Hurricane Florence that is currently threatening our state. Our CART plan consists of procedures for how to handle displaced animals. This plan is in place not only to assist the animals but also to keep the public and the environment protected. We are currently in need of volunteers that have extra pasture space for large animals/livestock. If you are interested in being a volunteer please contact Jami Hooper at 252-633-1477 or jlhooper@ncsu.edu and let her know what area you can assist with. 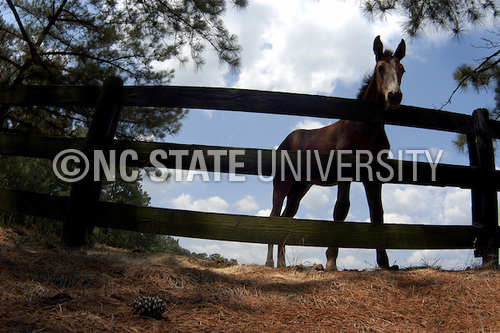 A horse on the Vet School farm outside Pinehurst.